Drops 1 to 3 Clay Items. Clay generates in the grass and the dirt of areas with a rainfall value of at least 500. 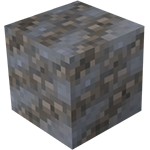 Clay deposits range from 4 to 30 blocks wide, and 2 to 6 blocks deep. Breaking the clay block with a shovel will yield one to three clay items. Clay is relatively common but can be covered in grass, making it difficult to spot the striped texture. Clay deposits that are underneath the grass will be marked with Golden Rod flowers , for easier visibility. Alternatively, the Player can search under the water near a river, lake, or ocean; because grass cannot grow underwater, so the striped texture is exposed. Ravines can also cut through a patch of dirt containing clay, exposing the stripes. Clay is primarily used in the creation of Pottery. Clay objects are created using an interface similar to knapping. To open this interface, right-click with a stack of 5 or more clay. Clay can be crafted with Graphite Powder and Kaolinite Powder to produce Fire Clay. Clay pit depth increased from 1 to 2. Max height of Clay spawning reduced from 150 to 147. They may be harder to spot now, but they are still there, just beneath the grass. Clay no longer generates in areas of dry grass. Added Golden Rod flowers which only grow on clay. Clay grass spreads onto other soil blocks. 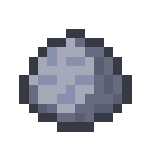 Clay drops at least 1 clay item when broken. 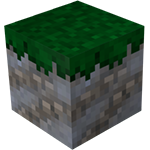 Both clay and clay grass blocks are not affected by gravity, meaning that it is possible to dig into the side of a clay deposit to make a small starting shelter. Clay deposit on a hillside with golden rod flowers. This page was last modified on 9 June 2015, at 02:40.